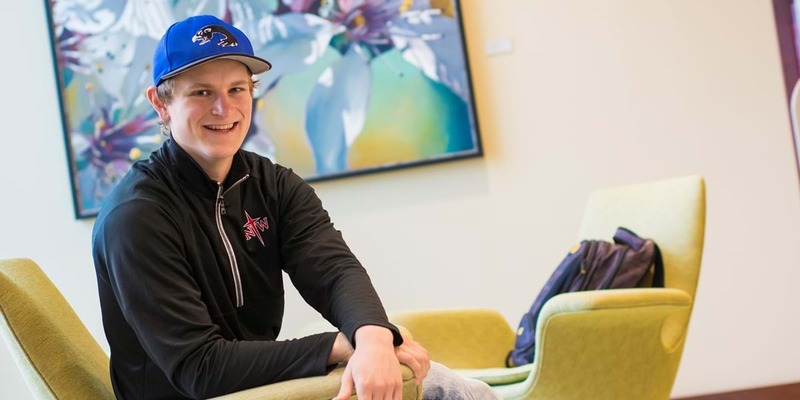 Thomas came to Northwestern to study actuarial science, but also had interests in finance and economics—leading him to triple-major as preparation for a wide variety of careers. On campus, Thomas is active in intramural sports, the Honors Program and the Actuarial Science Club. I chose Northwestern because of the great dorm life I experienced when I visited on a RED101 Day during my senior year. I remember playing Settlers of Catan, and everyone in the residence hall I stayed in treated me like I was part of the family. Another enticement for me was Northwestern’s great actuarial science program. Because the professor who started NWC’s actuarial science program is also a co-founder of Adapt, a fantastic study tool for actuarial exams, Northwestern students have access to Adapt for free. I can’t over-emphasize how wonderful that is. Math has given me a perspective on the concept of difficulty. Math is difficult, but studying it has shown me that difficulty in itself doesn’t imply something is worthwhile; instead, overcoming difficulty is the thing that has real value. We face challenges in our faith every day. The difficulty I’ve faced in math has shown me that even if you don’t come to the other side in the way you would have liked, you at least become better informed. Math has taught me that a faith that allows me to hide from difficult questions isn’t the kind of faith I want to have. A strength of Northwestern’s math department is the classroom experience itself. I think Calculus 1 with Dr. Westenberg and both Calculus 2 and Logic with Dr. Jongerius are among the best classes offered here. I took those classes my freshman year, and they solidified my desire to be an actuarial science major. The two main keys to actuarial science are passing exams and having connections to internship opportunities. The exam process is aided by the Adapt software, and Northwestern alumni often provide opportunities for current students to find places to work. I definitely feel prepared for my future.